This photograph of the M87 galaxy black hole is the first image of a black hole in history! This first image of a black hole shows a bright ring with a dark, central spot. 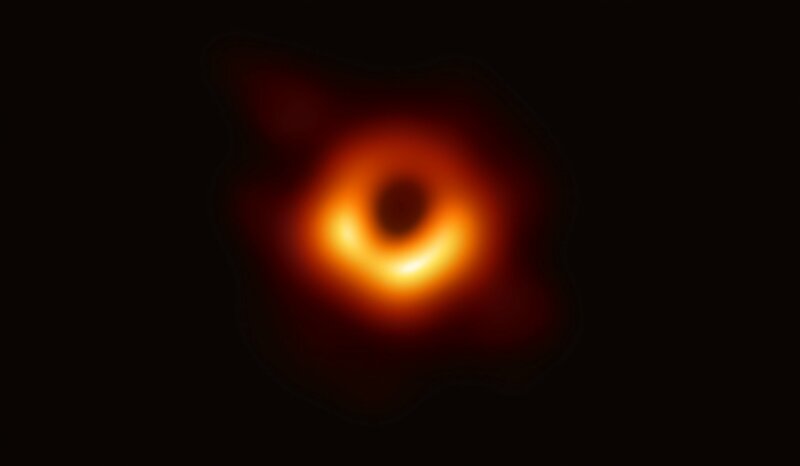 That ring is a bright disk of gas orbiting the supermassive behemoth in the galaxy M87, and the spot is the black hole’s shadow.